We’re big fans of the Instant Pot, and how it turns what was once a lengthy and time-consuming cooking project into a fast and simple (yes, almost instant) process! 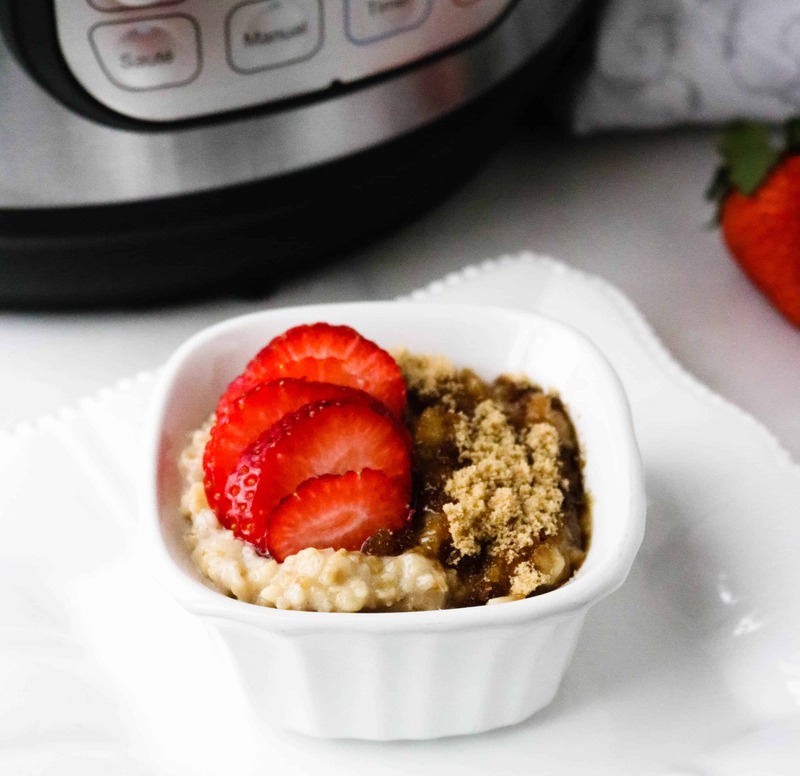 Instant Pot Steel Cut Oats with Strawberry Brown Sugar is genuinely one of the quickest and easiest things you can make. 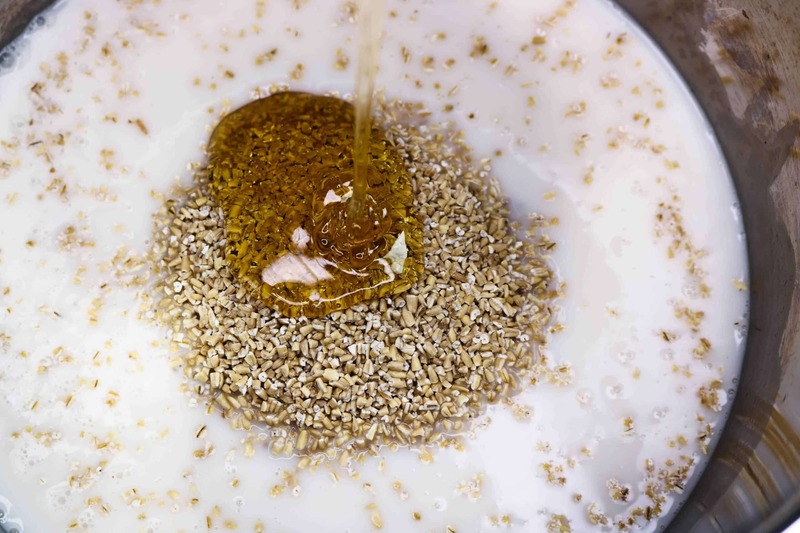 The main difference between steel cut oats and quick oats lies in the processing. Steel cut oats are oat groats (an oat kernel without the husk) that have been cut into two or three pieces by a steel blade. Are Steel Cut Oats High In Fiber? Steel cut oats are good source of fiber. 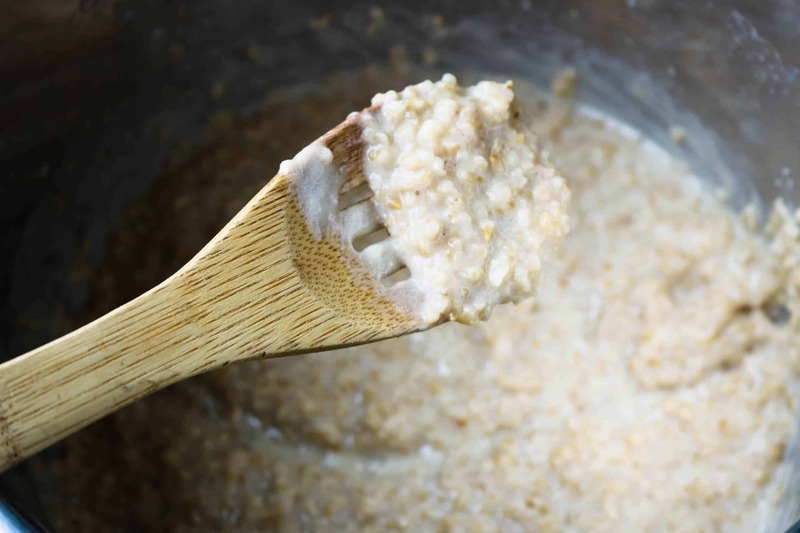 1/4-cup of uncooked steel cut oats contains 2 grams of soluble fiber and provides 15-percent of the U.S. Department of Agriculture’s recommended daily allowance. Cooking steel cut oats on the stovetop requires 30-40 minutes of hands-on time. Compare that to the Instant Pot, which needs only 4 minutes of cooking time (plus approximately 10 minutes for the pressure to build). And, all you need to do is put the ingredients in the pot, set it, and walk away! 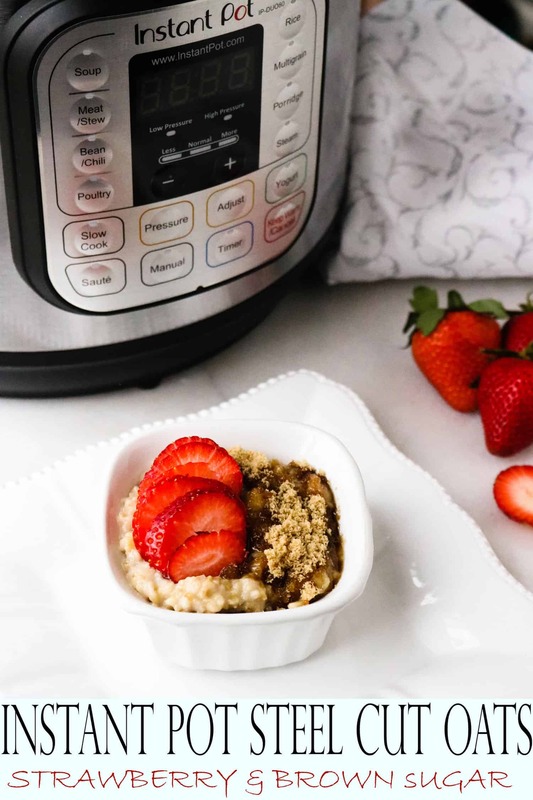 Top your Instant Pot Steel Cut Oats with the classic flavor combination of strawberries and brown sugar to make even the busiest weekday morning feel like a relaxing Sunday brunch. 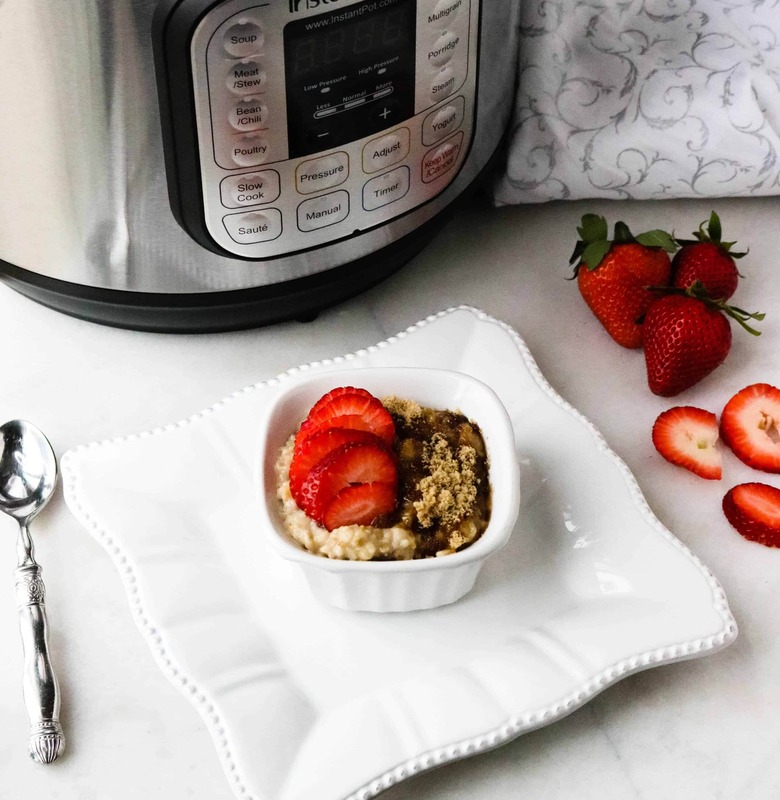 Don’t forget to check out all our Instant Pot Oatmeal Variations. Step #1: Add vanilla almond milk, steel cut oats, and honey to your Instant Pot inner pot. Step #2: Set manual pressure to 4 minutes. Make sure the release valve on lid is closed (not set to vent). Step #3: After cooking time has elapsed, do a quick release, stir, and dish up into bowls. Step #4: Top with sliced strawberries and brown sugar (or the toppings of your choice), and enjoy! 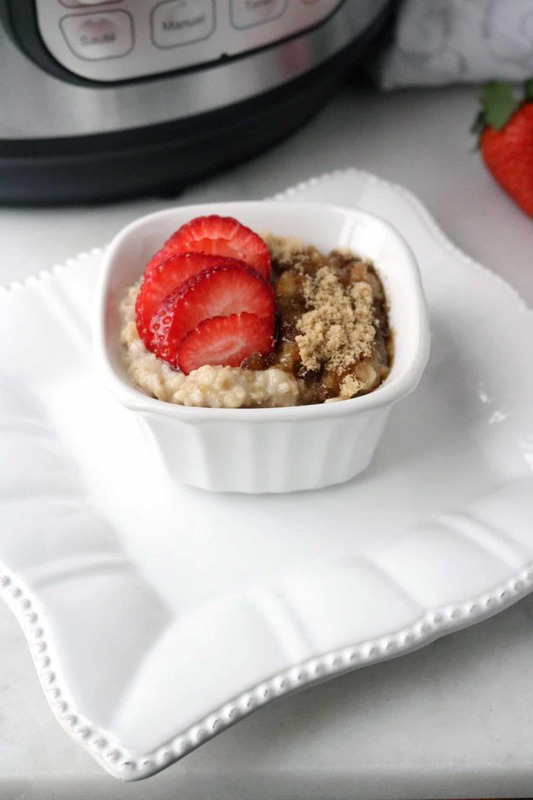 Don’t forget to check out all our other Instant Pot Oatmeal Variations. This delicious recipe will make busy weekday mornings feel like a relaxing Sunday brunch. Add first 3 ingredients to Instant Pot inner pot. Set manual pressure to 4 minutes. After pressure cooking time has elapsed, do a quick release, stir and dish up into bowls. Top with choice of toppings and enjoy!